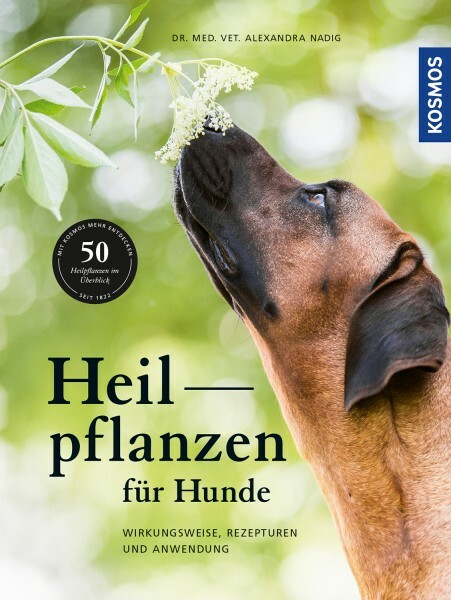 Product information "Heilpflanzen für Hunde"
Healthy diet, holistic health, plant studies – these are all topics which have gained importance for dog owners. This book discusses numerous herbs as medicinal ingredients and their effectiveness. Whether gastrointestinal complaints, skin or eye diseases, lung or heart problems – herbs are used to cure many diseases in the practice of Phytomedicine. This book explains alternative methods of healing and provides numerous ideas, such as tea for indigestion, recipes for ointments (e.g. for paw care) and information about how to gather herbs yourself and add to your dog’s food. Alexandra Nadig, MD is a vet and has a doctorate in phytotherapy. She is the founder of the Holistic Animal Health Centre (www.holispital.de) and leads numerous seminars on plant studies. What does a really good book for beginners need?